what may i qualify as? I think you know what you are Ziggy.. However, what may not be told in this simple diagnosis is your emotional Kapha qualities I think. Well, I suspect.. I normally diagnose with TCM too. Ayurveda has changed my life too, helped me to deal with anxiety, ect. Although, i use it as an assistant with other things too :). Very cool. Thanks for posting this. 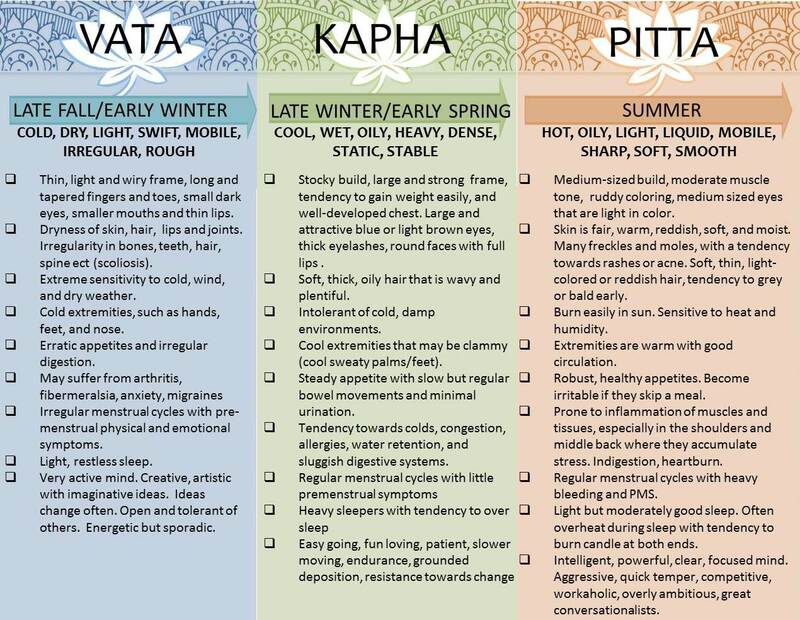 How do I determine my dosha if I have traits from several? Oops. I should have kept reading before I posted that last comment. Sorry about that.